Why Is Britain Getting A Prime Minister Who'd Like To Stay In The EU? : Parallels Theresa May favors remaining in the European Union, but says she respects the will of the voters and will carry out the difficult negotiations of extracting the U.K. from the European grouping. 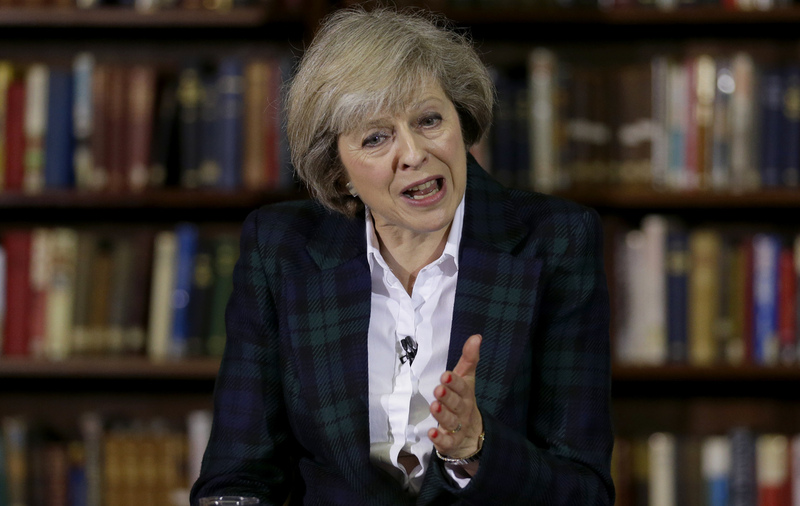 Why Is Britain Getting A Prime Minister Who'd Like To Stay In The EU? Theresa May, Britain's home secretary and a member of the Conservative Party, is poised to become the new prime minister this week. She favors keeping Britain in the European Union, but says she accepts the will of voters who opted to leave the EU in a June 23 referendum. How's this for British irony: The United Kingdom is about to get a new prime minister, Theresa May, who voted in favor of keeping the country in the European Union. By voting to leave the EU in a June 23 referendum, U.K. voters turned the country's politics upside down and prompted the immediate resignation of Prime Minister David Cameron, a strong backer of remaining in the European body. Now Cameron's dominant Conservative Party has found a successor, May, the home secretary and a longtime member of Parliament — who also favors staying in the EU. Because the Conservative Party has an outright majority in Parliament, the person it chooses as party leader will also become the next prime minister. The party had some of the most vocal campaigners for the Brexit — like Boris Johnson — but they all opted out of the running. Five Conservative Party members raised their hand for the job, and three were voted out, one by one, by their party colleagues in Parliament. That left only May and Andrea Leadsom, the minister of energy. The 150,000 Conservative Party members nationwide were supposed to vote on the final two candidates. But Leadsom withdrew Monday after failing to gather much support from the Conservatives Party members of Parliament and for suggesting she would be a better prime minister because she's a mother, while May is not. May is now poised to become prime minister even though she hasn't been elected by her own party, let alone the entire United Kingdom. And the next election is not scheduled until 2020, meaning May could have four years in office before facing a national vote. So who is Theresa May? Let's start with a fun fact: She was introduced to her husband, Phillip, by the late Pakistani prime minister, Benazir Bhutto, at a dance at Oxford University where all three were studying. The couple have been married 35 years. She will be just the second female prime minister in Britain and already is being compared to the other one, Margaret Thatcher, who was in power from 1979-90. Like Thatcher, who also belonged to the Conservative Party, May is seen as an extremely driven politician with no time for glad-handing and back-slapping. "Theresa is a bloody difficult woman, but you and I worked with Margaret Thatcher," said Ken Clarke, a longtime Conservative Party member of Parliament who's held multiple Cabinet posts. "I get on all right with her and she is good. ... She doesn't know much about foreign affairs." Sky News recorded Clarke's remarks, though he apparently was not aware the camera was rolling as he spoke with Malcolm Rifkind, a former foreign secretary. May has been in Parliament since 1997, and as home secretary, she oversees the courts, law enforcement and immigration. She has been associated with a number of tough, uncompromising positions on issues like immigration. "The aim is to create here in Britain a really hostile environment for illegal migration," May said in 2013. "What we don't want is a situation where people think that they can come here and overstay because they're able to access everything they need." Regarding Europe, May has consistently supported continued membership in the EU. But it was somewhat tepid support, and she has long been associated with the many Euroskeptics in the Conservative Party, who are often critical of the EU even if they favor remaining inside it. Yet May has pledged to respect last month's referendum. "Brexit means Brexit, and we're going to make a success of it," she said recently. "We need a bold new positive vision for the future of our country — a vision of a country that works not for the privileged few, but for every one of us." When Cameron announced his resignation on June 24, he said he hoped a new leader would be in place by October. But as other potential candidates in the Conservative Party fell away, the process accelerated and it appeared May would replace him on Wednesday. She will inherit a host of difficult challenges. The fallout from the referendum has included widespread international criticism, jittery financial markets and a falling British pound. One of May's most immediate tasks will be to rebuild confidence in the British and international business community to avoid any potential economic downturn. But she'll also have to show the pro-Brexit voters that she's working to pull the country out of the EU. That will take protracted negotiations in a process that's envisioned to take up to two years, though no one knows at this point how long or complicated the talks might be. Theresa May, who will be Britain's next prime minister, often attracts media attention for her choice of footwear. 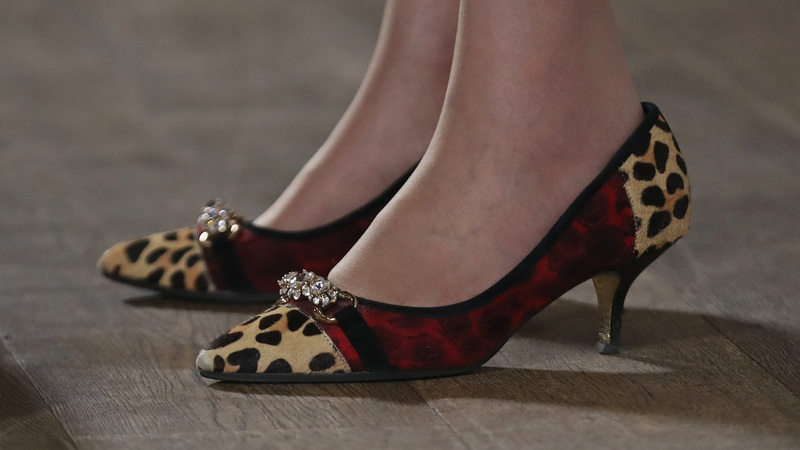 She was wearing these leopard-print shoes at an event Monday in Birmingham, England. So what else do you need to know about Theresa May? Let's finish with another fun fact: She really likes shoes. "It is quite widely known that I like shoes. This is not something that defines me as either a woman or a politician, but it has come to define me in the eyes of the newspapers," she told the BBC. "I wore a pair of leopard-print kitten heels to a Conservative Party Conference a few years ago and the papers have continued to focus on my feet ever since." Kevin Beesley is NPR's Europe editor. Greg Myre is the international editor for NPR.org.